W. W. Norton & Company, 9780393292947, 208pp. On the morning of her seventieth birthday, Georgianna Grove receives an unexpected letter that calls her back to Missing Lake, Wisconsin, where her mother was murdered sixty-six years earlier. Georgie's father had confessed to the murder the next morning and was carted off to a state penitentiary. Haunted by the night that took both her parents away and determined to unearth the truth, Georgie takes her reluctant family on what will become a dangerous canoe trip up the swollen Bone River to return to Missing Lake. Acclaimed novelist Susan Richards Shreve, celebrated for her "refined explorations of parent-child relationships" (Washington Post), captures the tenor of the times with clarity and elegance as she follows both Georgie and her parents on parallel trips up the Bone River, weaving together the hope of June 2008 with the injustices of June 1941. Georgie must untangle a web of bigotry, loss, and half-forgotten memories to finally understand her parents' fate. 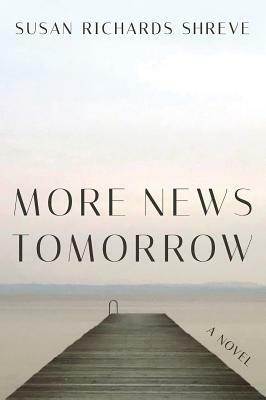 More News Tomorrow is a stirring and irresistible portrait of a family drawn together in search of truth.